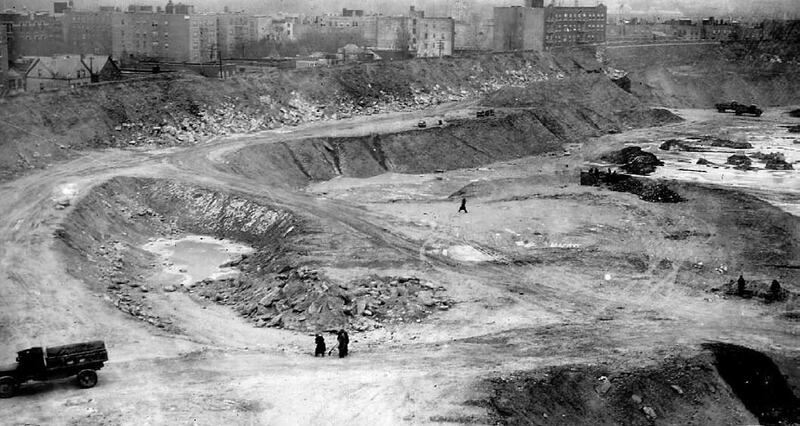 Williamsbridge Oval excavation, 1934. NYC Parks Photo Archive. Keeper House visible at upper left. This and the next couple images give you an idea of the massive scope of the project.